I’m really excited about this project! 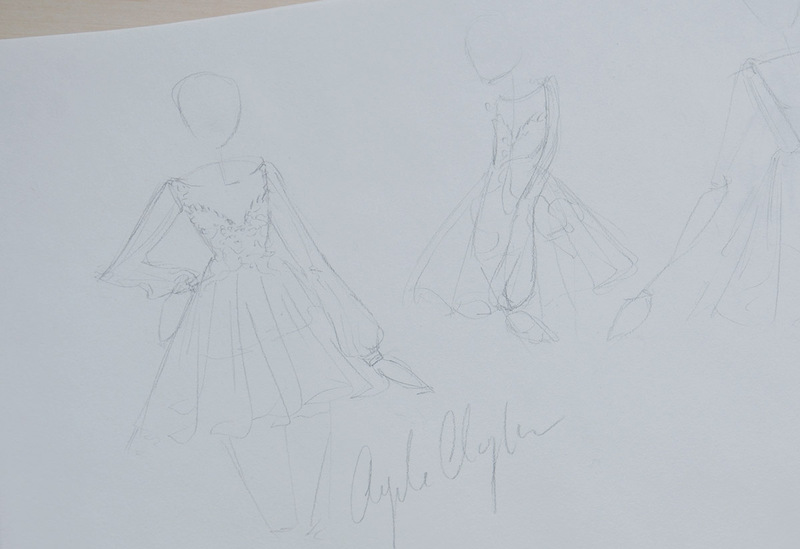 Not only is it a new project, it’s also the first dress in what will hopefully become a series. This year i’m focusing on bigger projects, which are more detailed and elaborate. Which is great, and something I find really exciting. Unfortunately big projects take longer, which means I don’t have as much to blog about and don’t have any content for my youtube channel since the bigger the project, the harder it is to film. So my new goal is to make a “Simple” project once a month – it’s can be a dress, jacket, skirt, or any combination of those things. Ideally the project will take less than twenty hours, incorporate items from my stash, and be completed in less than a week. 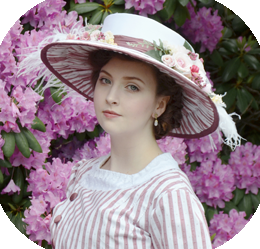 Not only will this help break up the tediousness of elaborate historical costumes (which I love doing but can get tiresome) it will also give me more to blog about and something to film! I’ve been watching old episodes of project runway recently, and it’s left me wanting to make something kind of…normal. As in not historically inspired at all. It actually has me feeling a bit inspired by Georgina Chapmans wardrobe of Marchesa dresses – they tend to involve a lot of lace and mesh, and have a light, airy quality to them. Something I wanted to incorporate into this dress. At a trip to Joanns I took advantage of the presidents day sale and got some ivory mesh fabric with a laser cut floral chiffon print. I found the texture really interesting and paired it with a few materials I already own. One of them is this crazy ruffled/gathered/sequined/striped jersey i’ve had for YEARS. I bought it with a project in mind when I first started sewing. It was crazy cheap for having so much texture (maybe $6 a yard?) but the project fell through and i’ve had it sitting in a bin for ages. I almost put it in a “Fabric I regret buying” post last year so i’m shocked and very pleased to find a project that suits it! I decided to pair that with some other materials I already have. They include: Feathers glued to buckram (why did I buy these?! 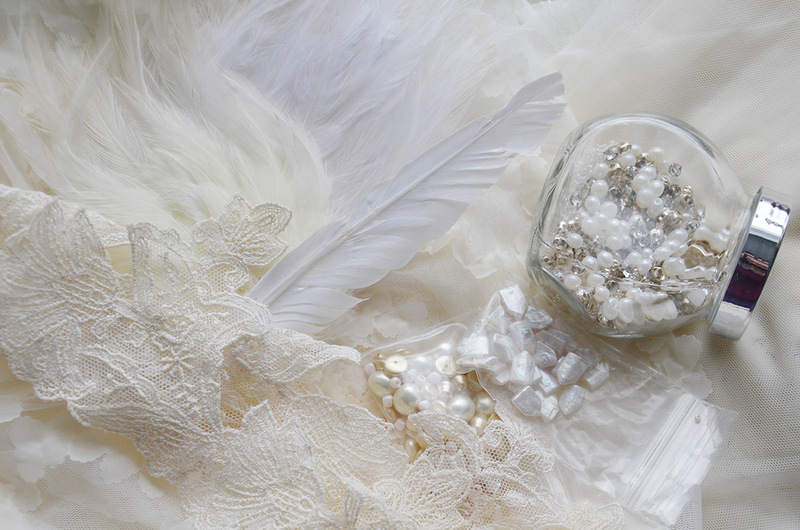 ), various beads, sequins and very pretty lace that I was given! And here is my original sketch, inspired by the textiles I chose. Some things ended up getting changed (mostly the sleeves) as I worked things out. 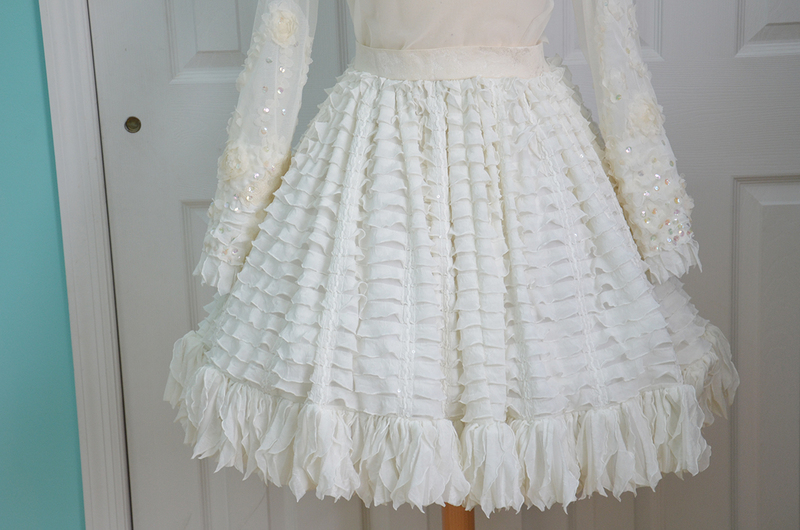 So this post in particular is about the skirt! My dress actually ended up becoming three pieces, a jersey underskirt, a dress with a sheer overskirt attached, and an illusion neck mesh bodice with sleeves. The video that shows the process of making it is posted HERE! I’ll be going over the dimensions and process in more detail below. 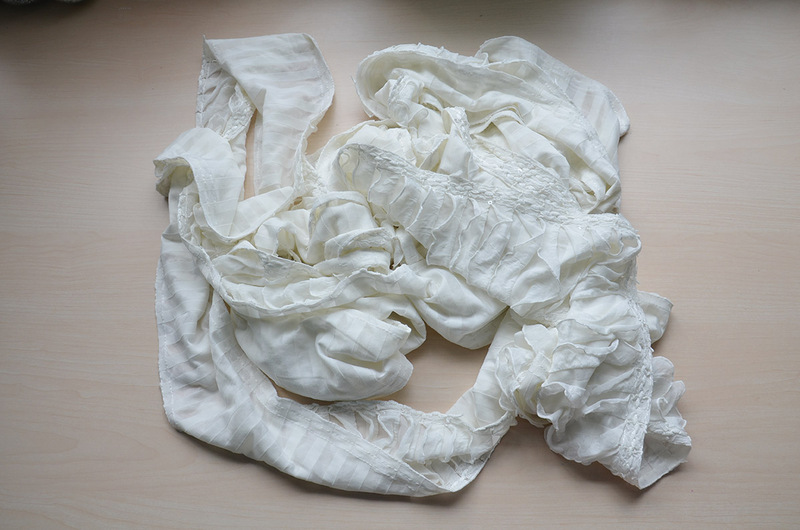 The fabric i’m using this is a very strange sheer, striped, jersey with ruffles stitched in rows across it all. 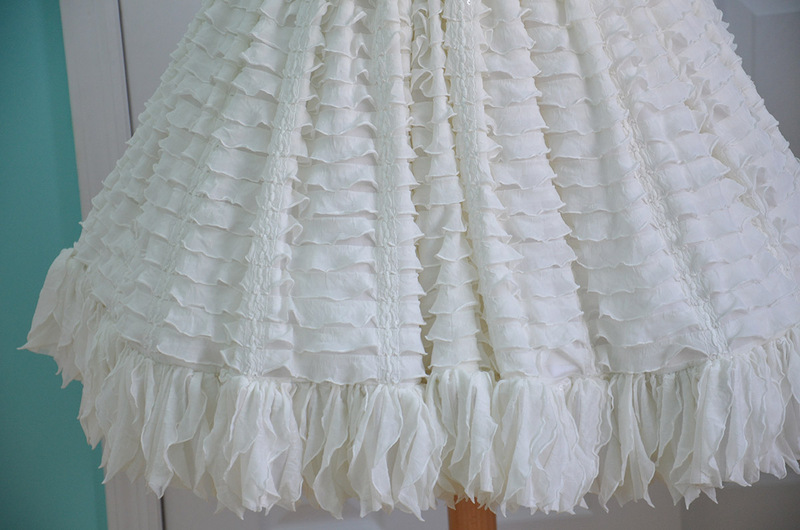 There is woven sequin trim dividing the ruffles every four and a half inches. I kept this all in mind when cutting my skirt pattern. 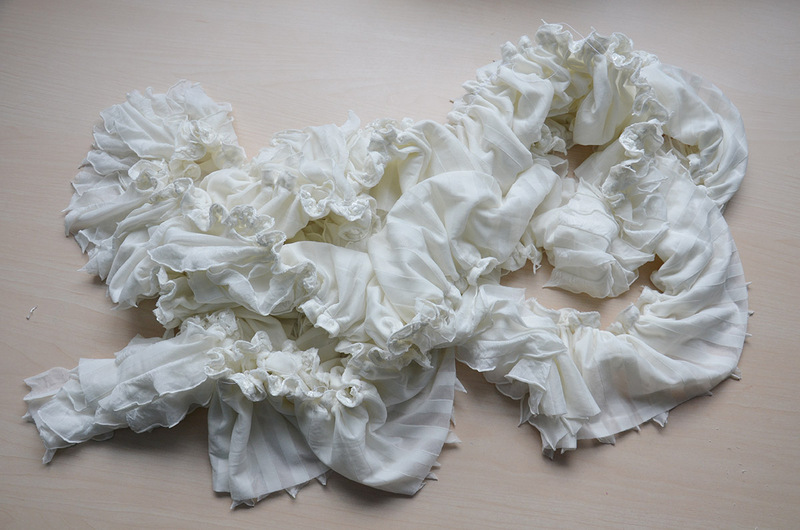 Due to the nature of my fabric i’m making this a rectangle skirt with a ruffle. 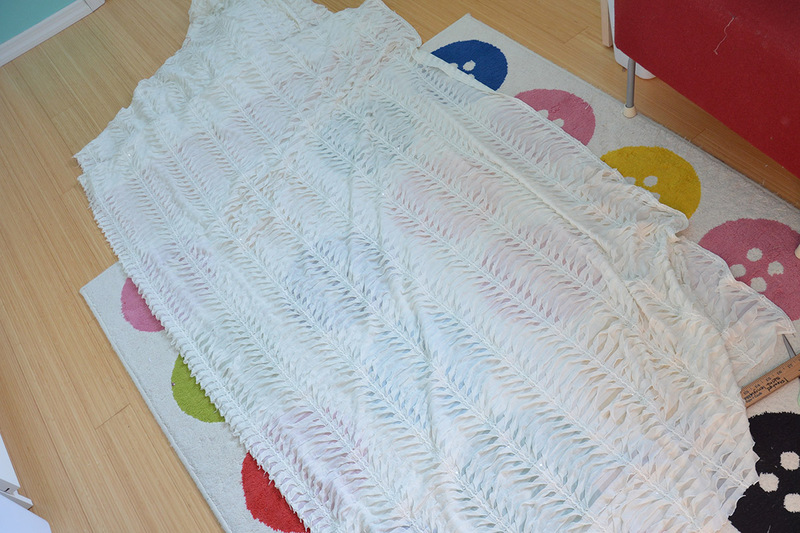 Rectangle skirts are the easiest skirts to make, since all they require are three rectangles of varying sizes. 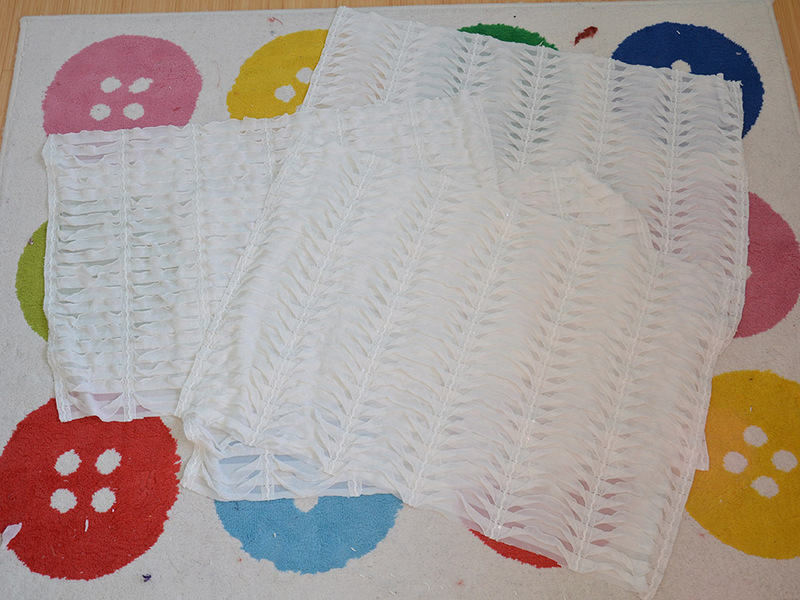 One rectangle for a waistband, another for the skirt “body” and another for the ruffle. The general “Skirt Math” I use is that each rectangle measurement should be at least three times bigger than the last. 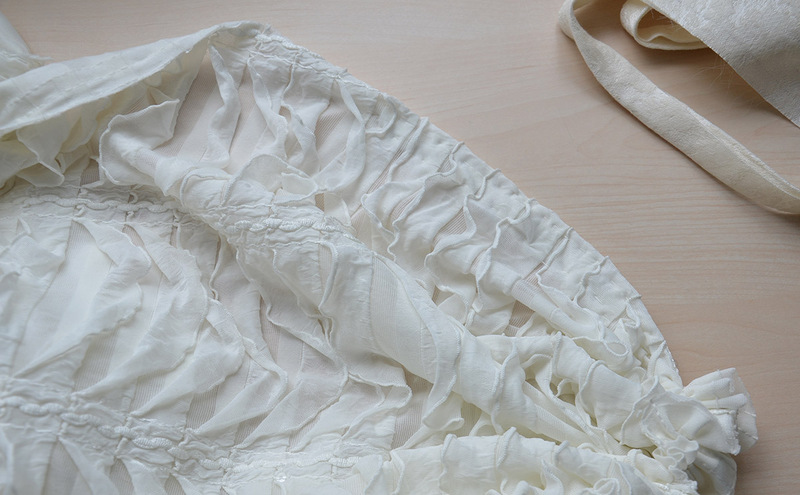 So if your waistband is thirty inches, the skirt “body” should be at least ninety, and the ruffle should be two hundred and seventy (paired with whatever length you desire). 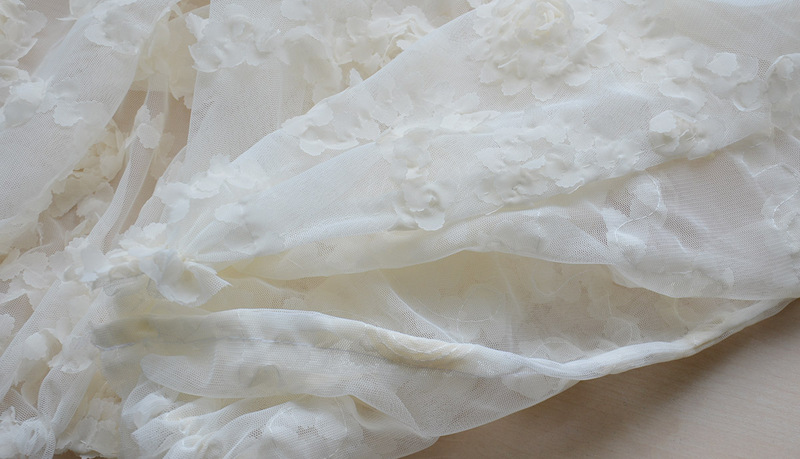 This makes sure you will get a very full skirt! 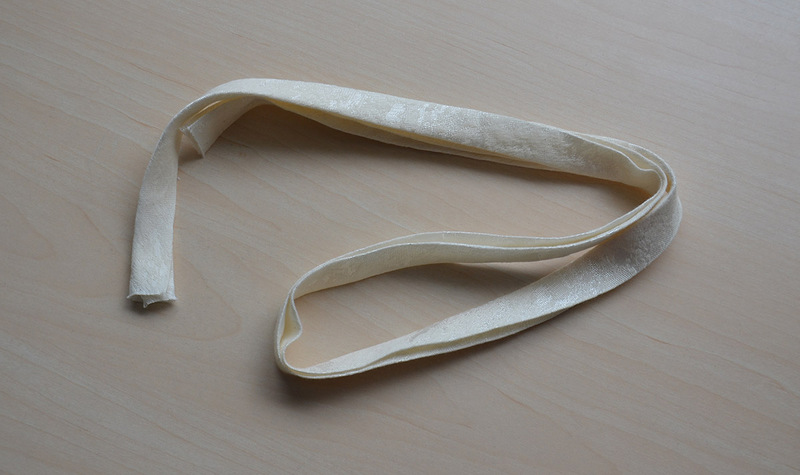 And a three inch wide strip which I used to make bias tape. Here are the panels for the main part of the skirt. 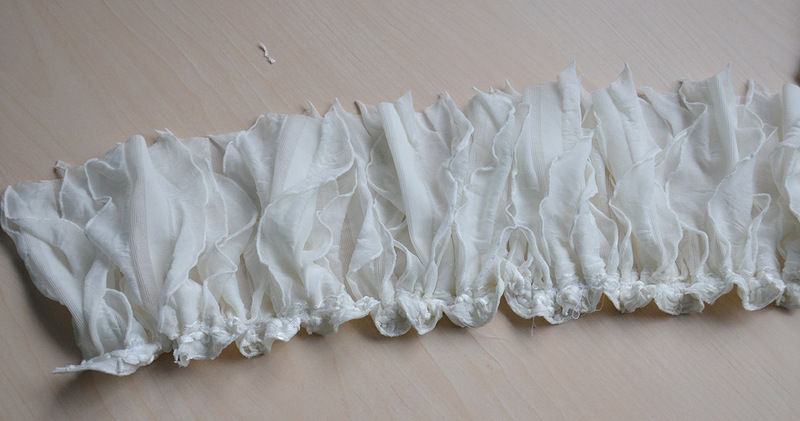 And the strips cut to turn into ruffles! I cut these in the opposite direction as the main panels, hopefully this will add more texture. I had originally planned on hemming the strips before making ruffles, but a bit of experimenting with scraps made me realize I could get this fantastic effect by cutting off the woven trim. It creates this really neat fringe-y look which I LOVE. Suddenly the fabric I didn’t like but was trying to use up turned into something really interesting. Gathering it just made it look better! I gathered it the same way I always do, by shoving it under the foot of my machine as I go. Not the safest or most precise way, but It is fast and I love the results. I gathered this down to be the same length as the hem of all the main panels sewn together. After sewing the panels together (which took a while, I was careful with pinning and did my best to get all the stripes/ruffles to line up) I pinned on the ruffle. 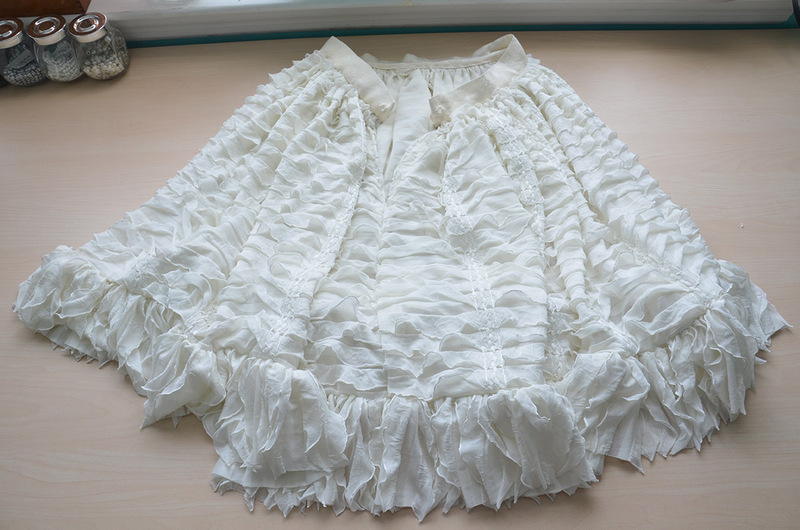 I sewed it on and gathered the skirt at the wasit. I gathered the top of the skirt by hand…then realized it was a couple inches too long, so I hiked it up at the waist and gathered it again. Another pro of rectangle skirts! I was so ridiculously pleased with this that I decided to make it a stand alone piece, instead of being attached to a bodice/part of the dress. That way I can wear it with other pieces too. I see so many options with the skirt! Once I decided to make it a separate piece I went about making the waistband. 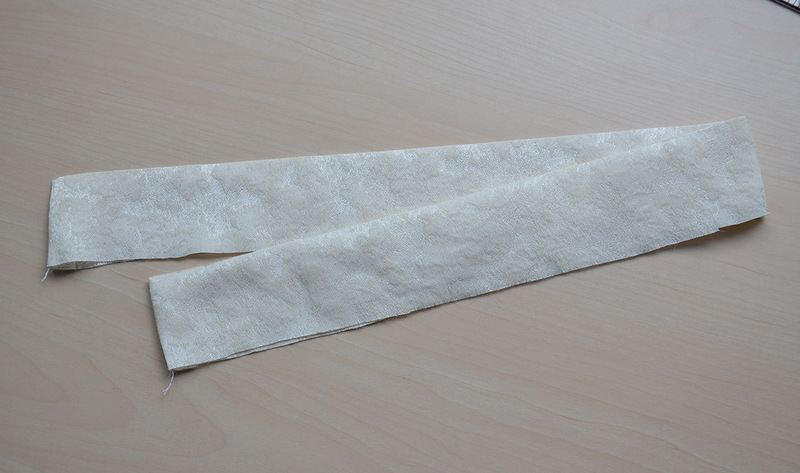 I made it four inches wide, so I could fold it in half and sew the edges together to finish them. To finish the bottom edge I cut three inch wide strips of fabric on the bias, then folded the edges inward, and folded it in half. This creates double fold bias tape. Before sewing the waistband on I folded the top eight inches of the back edge over, this will get left open when I do up the back seam so I can get in and out of the skirt easily. Then the waistband got sewn on! And I did up the back seam. 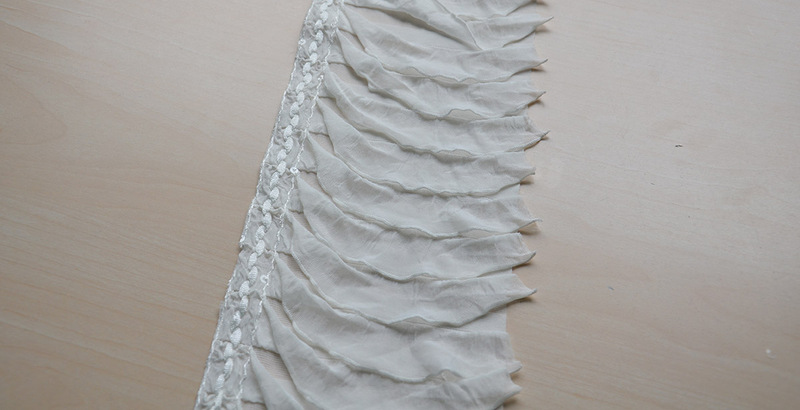 I chose to close this skirt with a single eyelet at the waist, leaving a slit in the back. Since this will be worn under things i’m not too concerned about the slight opening. The raw edge got finished with the bias tape I made earlier. And the skirt is done! Looking back I should have reinforced the waistband with interfacing, it has the tendency to sag and warp in certain places due to the skirts weight. That was a mistake on my part. But other than that I really like this skirt! Now for the overskirt! 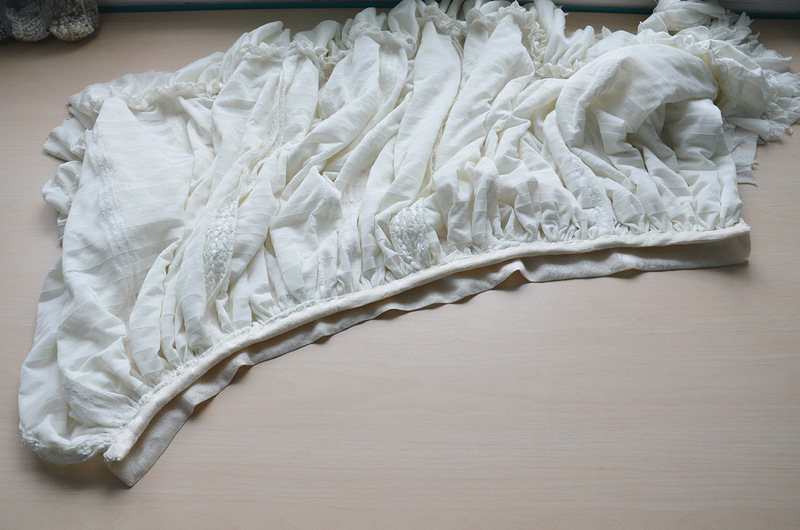 The overskirt is made up of an eighteen inch long, seventy two inch wide rectangle, and two slightly gored panels that are the same length. I had originally wanted to make this as a three quarter circle skirt, but fabric limitations prevented that! This mesh doesn’t fray so I left it unhemmed. 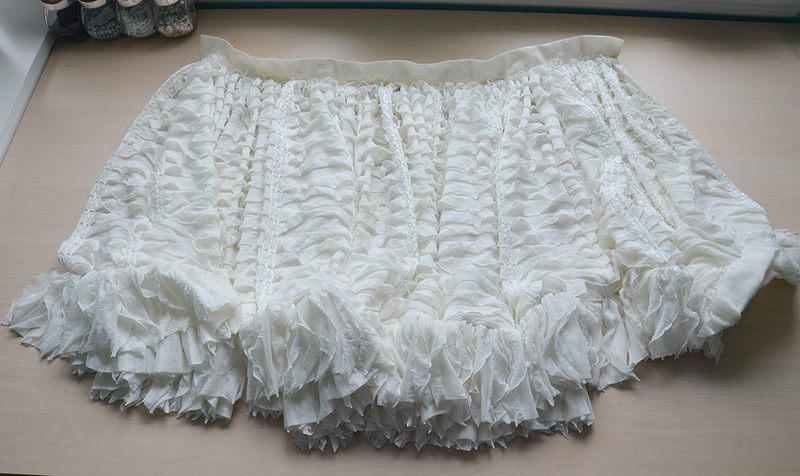 I cut it with a wavy pattern to make it look more…natural I guess, I wanted it to flow over the underskirt softly instead of ending in a harsh line. I sewed the panels together and gathered the top down to my waist measurement. I tried it on over the underskirt and there was something missing. 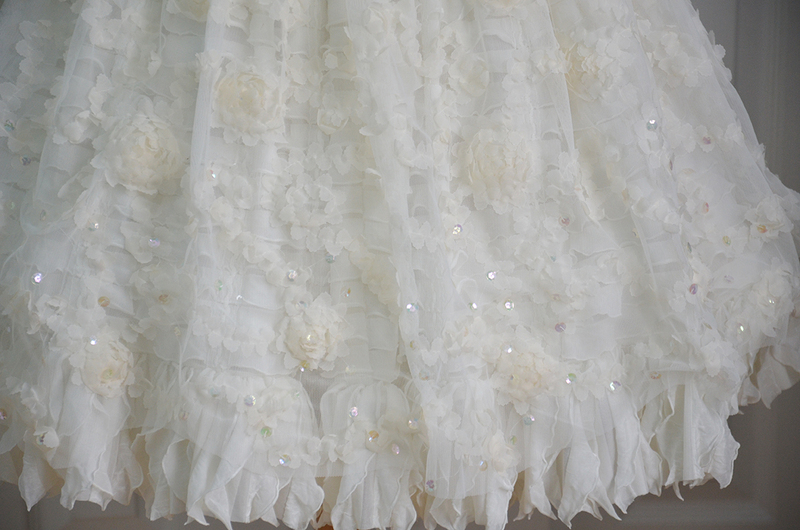 I decided that thing was sparkle, so I stitched on a scattering of sequins across the lower half, focusing on the hem. Sparkles make everything better, and this skirt was no exception! 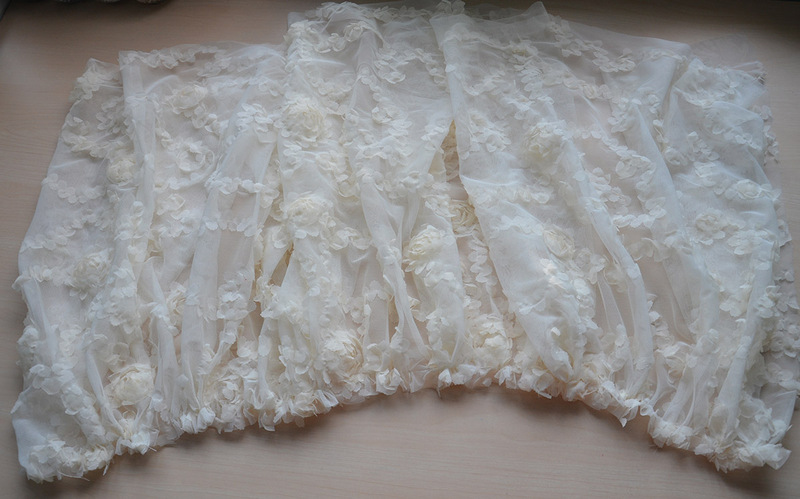 I folded the top eight inches of the back edge over and sewed them down, I did this for the underskirt too. It will be left open when I do up the back seam so I can get in and out of the skirt easily. This doesn’t matter if you have a smaller frame, but I have big hips and big shoulders so a six to eight inch slit at the waist is a necessity for all my skirts. 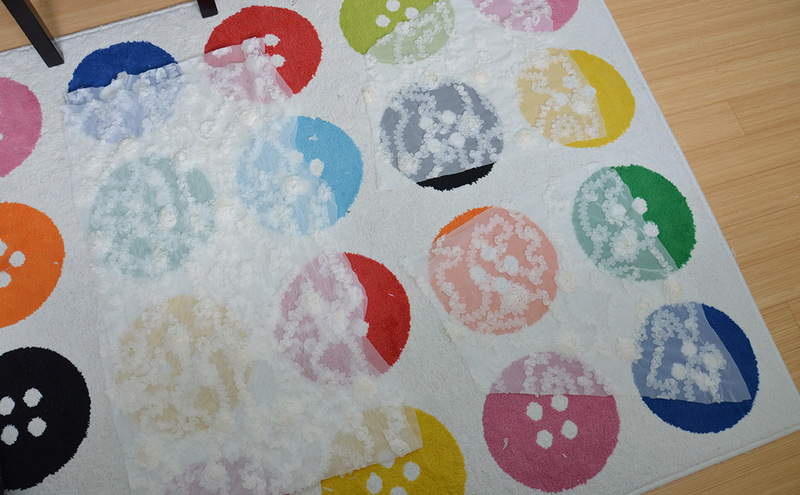 …And that is all for this post! 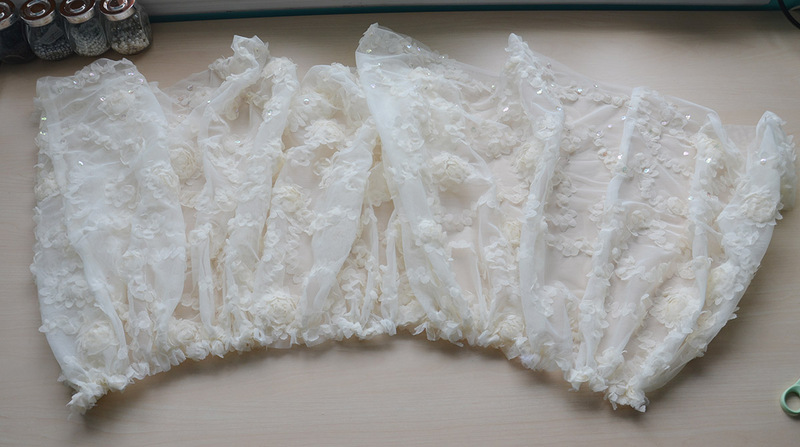 I thought there was more, but it makes more sense to include the information on attaching the skirt to the bodice in the blog post about the bodice. Which will hopefully be up next week! This project is complete I just need to get around to editing the videos about it. Here is the finished ensemble, as a bit of a teaser picture! Absolutely lovely!!! I do love how cutting the ruffles sideways made such a cool look. Beautiful! Thank you! 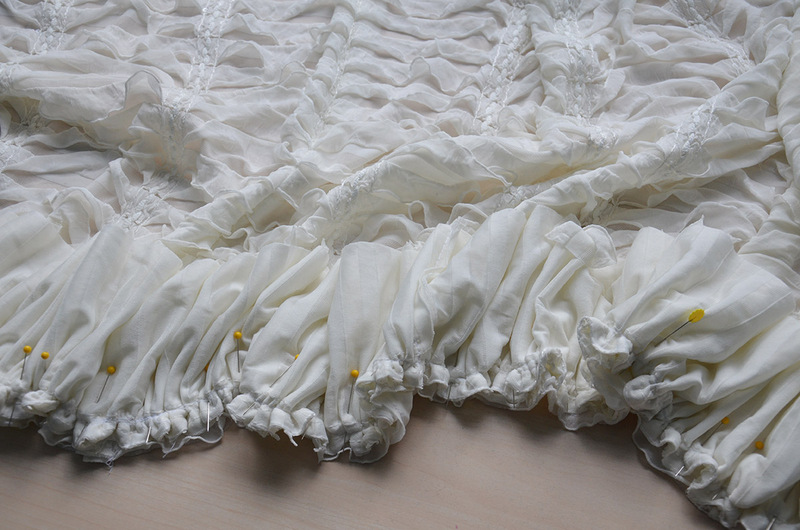 I think the ruffles are my favorite part, somehow cutting them improved the appearance and saved me from having to hem. Gosh, this is just so incredibly beautiful! You have done such an amazing job. Love it! 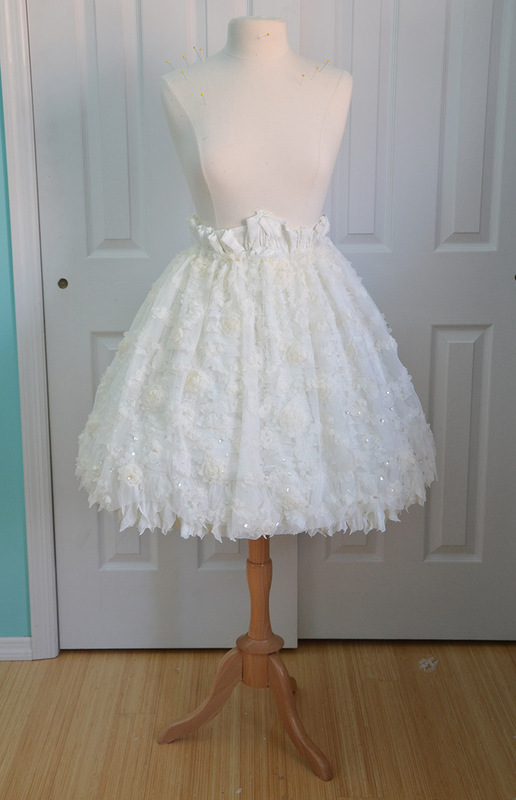 Two questions: Do you have a tulle underskirt to create the volume? Also,if I wanted to make a similar skirt but make it floor length, I would simply make the skirt length longer (54″ instead of say, 28″)? 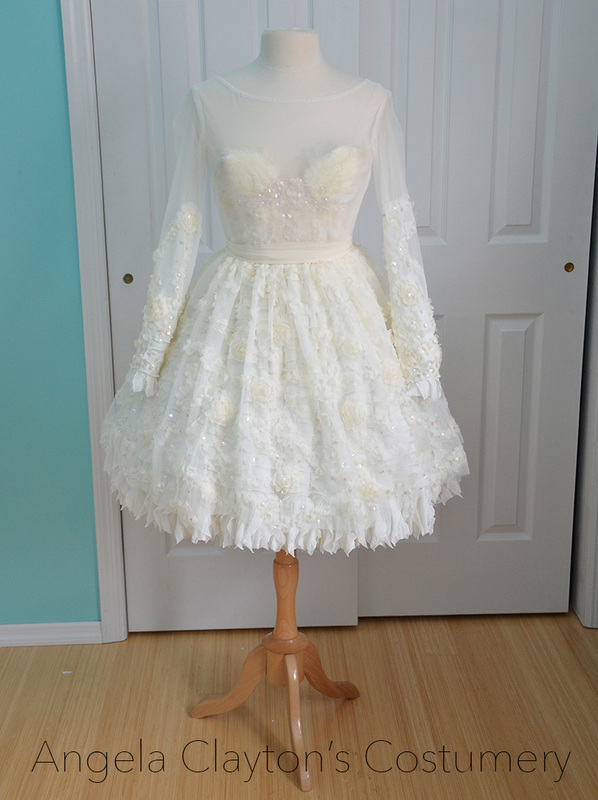 I have a home made organza/cotton petticoat underneath it. The skirt doesn’t have any volume to it without that – the jersey is actually pretty heavy so it definitely needs the boost! 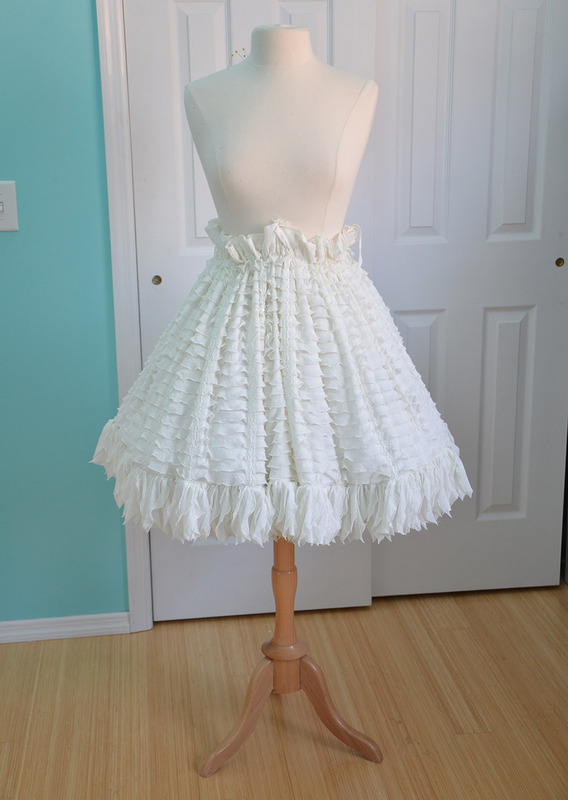 Yes, you can make floor length rectangle skirts. I’ve made lots of them, but you’ll want to disregard the “times three” rule. Floor length skirts with that type of shape need at least a three yard long hem to look proportional! Hello! Love the skirt! 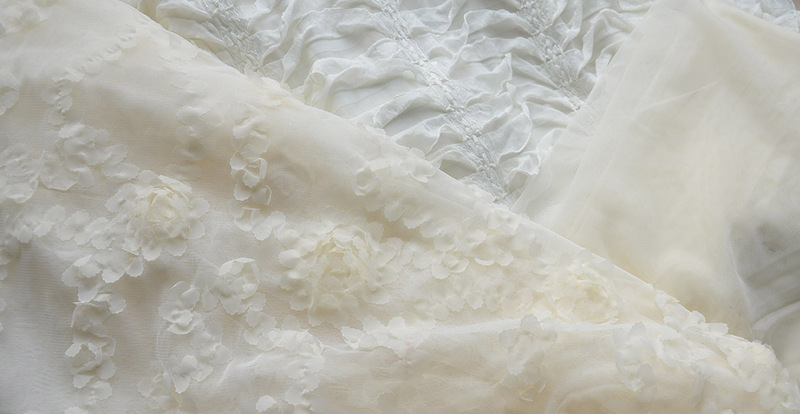 You always have so beautiful fabrics! Where can I find fabrics online? I want to have unique and cute fabrics that can be shipped to Sweden, but I just can’t find any.. Thank you! I’m really not the best person to ask, I get most of my fabrics locally/in the garment district. I only really order basics online (like lining, matte chiffon, taffeta, etc.) and i’m pretty sure the site I frequent (onlinefabricstore.net) doesn’t ship worldwide. Sorry! I’m really glad to see you trying modern pieces of your own designs. Excited to see what you come up with next! We’ll see how it goes! I tried doing modern stuff last year and it didn’t go too well, but this was really fun to make. So hopefully I can keep at it! wonderful!! just wanted to say that today in class we watched ‘il gattopardo’ : it’s a reeeeally boring movie, but it’s set in 1861 and all dresses are ORIGINAL. you might want to take a look! I love love LOVE the skirt!!! It’s just so light and fluffy and sort of whimsical looking! I can’t wait to see how you make the rest of the outfit! I have a question: where did you get your dress form? I have been looking at getting one since I am starting to do more with my sewing, but I’m not sure where to get one that is good quality. 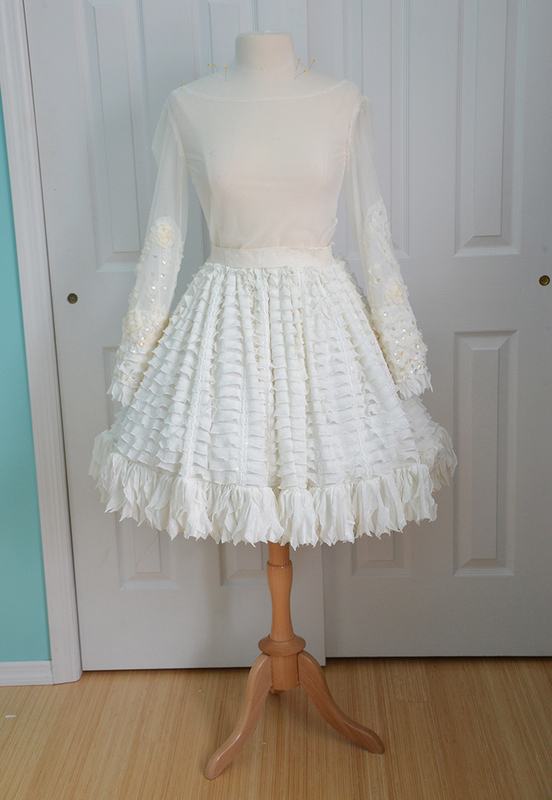 God this dress is so beautiful, it makes me want to cry! Plz I need to know !